Filipino guerrillas in Nasugbu, February 1945. Image source: United States National Archives. 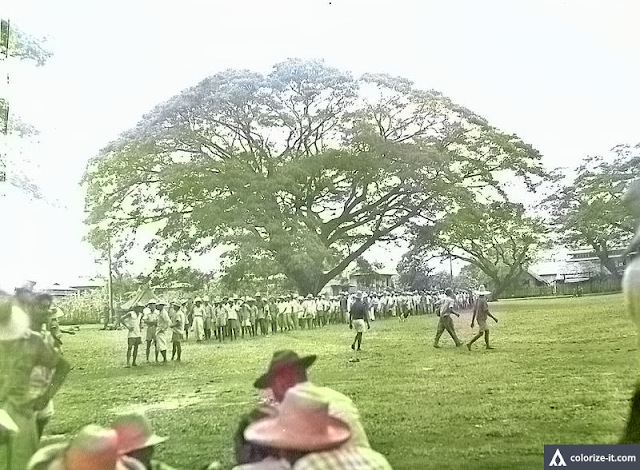 Original Caption: Filipinos from a guerrilla unit on the village green at Nasugbu, Luzon, P.I. (for Philippine Islands), where the 11th Airborne Division, United States Eighth Army, beached earlier the same day. Source: United States National Archives. Colorized courtesy of Algorithmia.